9 June 2018, KUCHING: Nine deserving Executive College ( EC) students were recently awarded with scholarships for their outstanding extracurricular and academic achievements. 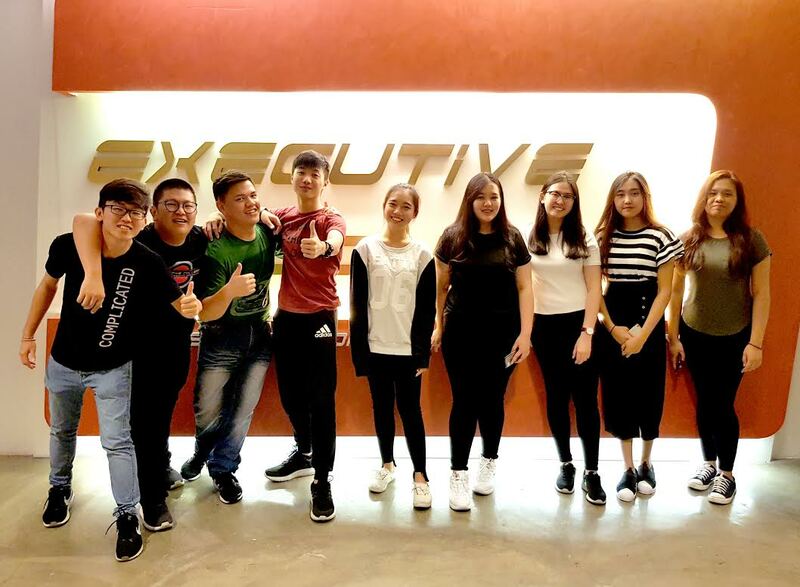 The recipients are Nelson Chin Kuok Chiat, Kenny Chin Yong Wei, Jocelynn Lee Pei Joo, Sim Zhan Hong, Toh Chong Hong, Ng Li Weng, Alycia Won Xing Zi, Ida Liew Ai Li and Sheril Tie Zui Siek. EC in a statement yesterday said the students are currently studying for Diploma in Quantity Surveying, Bachelor of Technology (Hons) in Construction Management and Bachelor of Business Administration ( Hons) at the college. On top of an affordable tuition fees, EC scholarships help to lighten the financial burden of qualified students. The scholarships awards that are being offered by EC are Entrance Scholarship, Extracurricular Excellence Award and Progression Scholarship. Entrance Scholarships are given to those who scored with flying colours in their SPM, STPM and UEC examinations with a waiver of tuition fees of up to 50 per cent. Meanwhile, students who had outstanding achievement at state or national level games or sports or held leadership roles in extracurricular activities are eligible for the Extra Curriculum Excellence Award. EC also awards the Progression Scholarship to undergraduate students who have previously scored a high CGPA from its own Foundation and Diploma programmes or from other universities or colleges. The foundation and diploma programmes that are being offered in EC are Foundation in Arts, Diploma in Quantity Surveying and Diploma in Business Administration. The college also offers undergraduate programmes in Bachelor of Business Administration ( Hons) and Bachelor of Technology ( Hons) in Construction Management in collaboration with Infrastructure University Kuala Lumpur ( IUKL). In addition, EC ensures 100 per cent job priority where graduates who apply for jobs with any company under KTS Group will be given priority. As a commitment to keep up with the integration of Apple’s latest technology into the curriculum, EC also provides new students with a free 9.7-inch iPad 2018 as a learning tool. The next intake for EC in September 2018 is now open with classes commencing on Sept 12. The college is situated at the second floor of Crown Square here and is open every Monday to Friday from 8am to 5pm. For further enquiries on EC’s programmes or financial assistance available at the college, please call 082- 345680 or visit its website at www.ecollege.edu.my.